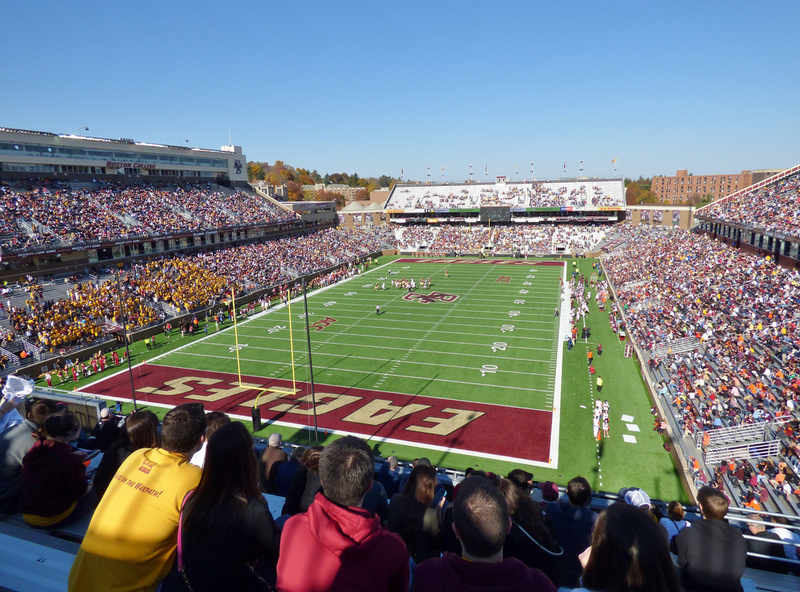 Each Fall since 1957, the Boston College Eagles football team have called Alumni Stadium their home. Prior to its construction, the Eagles played at Alumni Field that was constructed in 1915 and had a seating capacity of 15,000. It was later increased to seat 25,000 but was often to small. Throughout the 1930s and 1940s, the Eagles played some of their home games at Fenway Park, home of the Red Sox (MLB) and Braves Field, home of the Braves (MLB). By the 1950s the need for a new stadium for the football program was apparent. Funds were raised for construction of the $250,000 stadium and the Eagles had a new stadium by the start of the 1957 season. 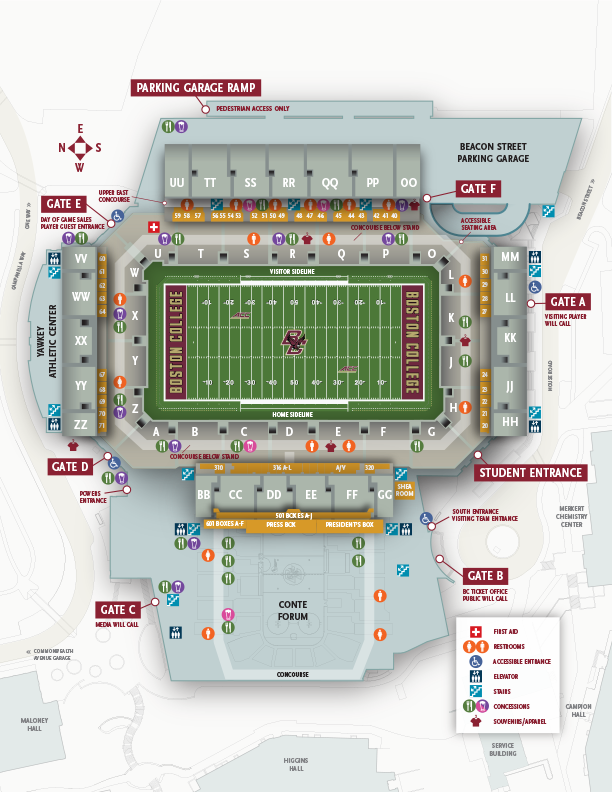 On September 21, 1957 the Boston College Eagles played their first game at Alumni Stadium against Navy. It had a seating capacity of 26,000 and was a definite upgrade from Alumni Field. For over three decades there were few changes to the stadium. The first and only major renovation to the stadium was completed prior to the 1994 football season. Nearly 20,000 seats from the lower deck, along with the running track were removed from the stadium. A new lower grandstand was constructed under the remaining upper decks on the east and west sides. In addition, 24 luxury suites were added to Alumni Stadium. Today, the stadium has a capacity of 44,500, with the main lower grandstand enclosing the entire field. Upper decks are located on all four sides of the stadium. Alumni Stadium has new video/scoreboards, lighting and concession areas. Fieldturf has replaced the Astroturf playing field in 2004.